Haley Walker (Lily) is a Toronto-born actor who studied performance and film at Rosedale Heights School of the Arts. Haley has always had a passion for performance and grew up making films with her close friends. Her passion for film and acting led to her involvement for three consecutive years (2013 – 2015) in TIFF’s Next Wave Film Festival as an actor and producer in the 24 Hour Film Challenge. 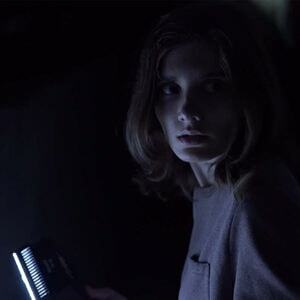 Haley was cast as Lily in “Impossible Horror” in 2015. In 2015 Haley performed on-stage in “You Are Not Alone” (Val) which debuted at the Toronto Fringe Festival. In 2016 she produced “Re:Lewis” which debuted at the The Paprika Festival in Toronto and showed later that year at the Toronto Fringe Festival. Haley continues to act in films produced out of Ryerson University’s Film Studies and Media Studies Programs. Several of those films have screened at the Insomniac Film Festival in Toronto including Aidan Tanner’s “Dinner Party” in 2016 and “Quest: ULTIMATE 2000” in 2017. Haley studied Psychology at Ryerson University from 2015-2017 and continues to study at George Brown College in the Assaulted Women’s & Children’s Counsellor/Advocate Program. Haley is currently producing and starring in Alex Chung’s “Teenage Love” which has an anticipated release in 2018.